The Profusion Highlight & Contour Cream Stick is a kit that features 3 easy to use cream sticks that help highlight, contour, and illuminate your skin. I'm not one to contour my face everyday, but I think Profusion's new Highlight & Contour cream stick kit has changed my mind. This kit is so easy to use and comes with everything you need to easily highlight, contour, and warm up your skin with 3 creamy sticks. Inside the kit you get a highlighter, contour, bronzer, plus a bonus blender sponge. The packaging is really nice since you can take all three sticks on the go for easy touch ups or to replace a big/bulky contouring palette. Each stick has a nice creamy consistency that makes it super easy to contour your face. 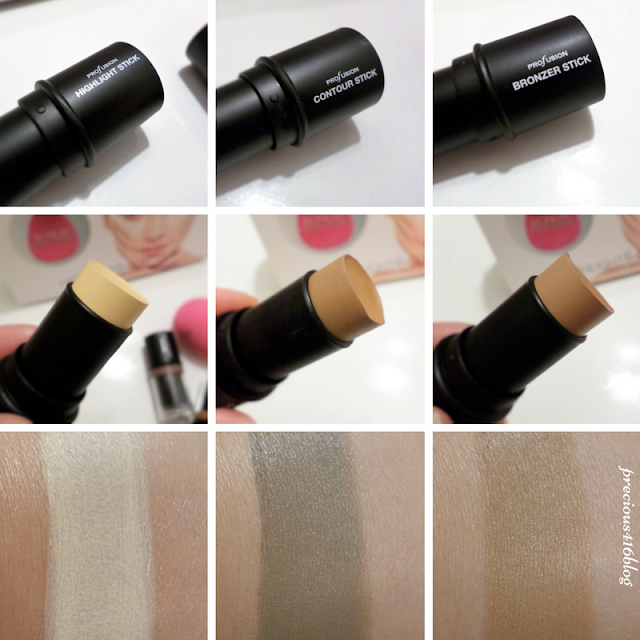 I love that the sticks are basically doing the job for you and you don't have to work hard or be too precise when you apply each creamy stick to your face. They all blend into the skin seamlessly and there are no harsh lines, or marks left on the areas that you want to define and sculpt. I have noticed that after I apply the cream sticks they do make my skin feel a bit sticky, but in this case I don't mind it. I like the fact that once I apply a setting powder the product adheres to the skin better making makeup last longer. 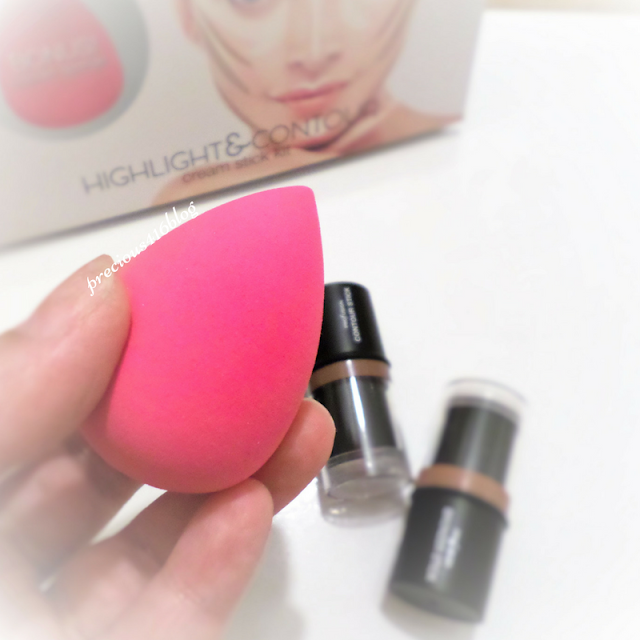 I also love the fact that the bonus blender sponge Profusion provides you with is so much better than the sponge in the Correct & Conceal Kit (honest review here) The blender sponge feels so much softer, not too dense, and once you wet it, it easily blends in the cream sticks without absorbing any of the product. 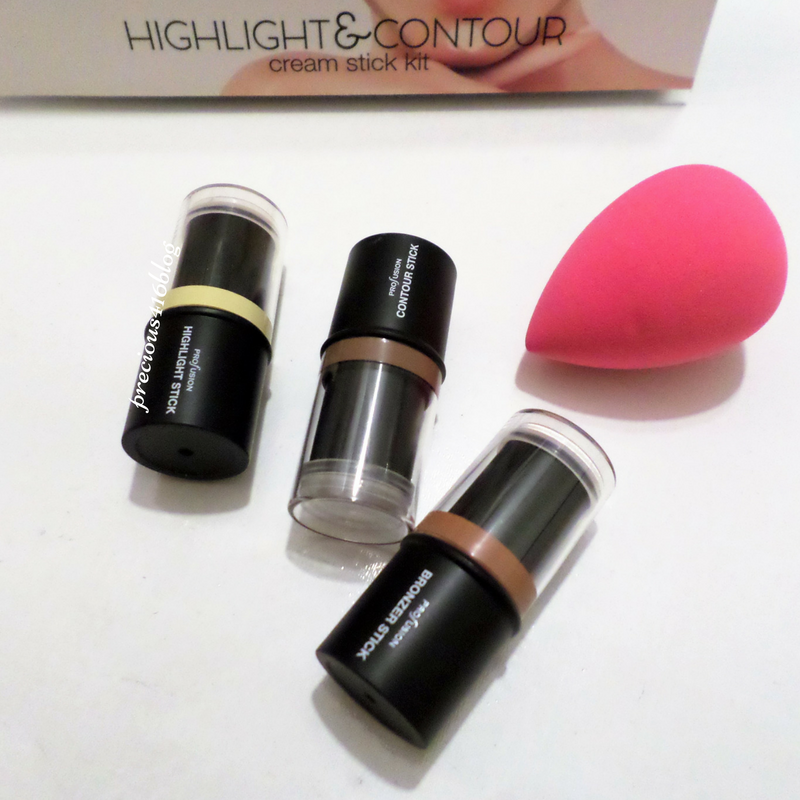 I think that the Profusion Highlight & Contour cream stick kit is perfect for any beginner, or beauty enthusiast that's on a budget and wants to achieve the perfect contour technique without spending too much money. The quality of the Profusion Highlight & Contour cream stick kit is surprisingly amazing! I love that you can achieve a natural looking highlight and contour that's perfect for everyday. I really like this kit and I'm so glad I got the chance to try it. 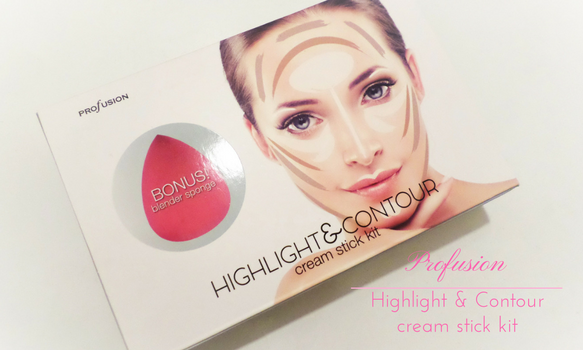 The Profusion Highlight & Contour cream stick kit retails for $9.99 and is available for purchase on the Profusion Cosmetics online store. Do you use any beauty products to highlight and contour your features? *Sent for review via Profusion Beauty Insider. However, all the opinions expressed are honest and my own.